Since 2006, whenever His Holiness the Dalai Lama teaches publicly in New York City, Turning Star has donated fire retardant testing, treatment, and certification services. In the past, we have treated curtains 80' wide x 50' high, with 200% additional fullness, carpeting to cover the entire stage at Radio City Music Hall (80' x 50'), over 100 cushions for lamas, monks, and nuns to sit on, as well as the main thangka - the fabric embroidered and painted picture chosen for a particular teaching. In 2014, Turning Star will provide these services for the teachings at the Beacon Theater November 3 and 4. The main thangka will be 13' wide x 20' high. We are also treating a number of Tibetan rugs that will cover the stage for the monastic community to sit on, as well as a special rug for His Holiness the Dalai Lama. 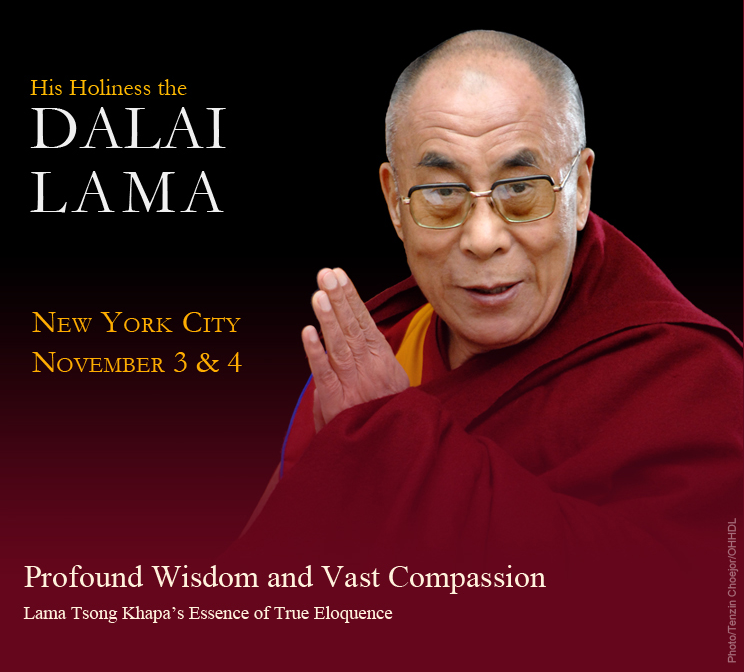 For more information on His Holiness the Dalai Lama's upcoming teaching, visit the Tibet House website.